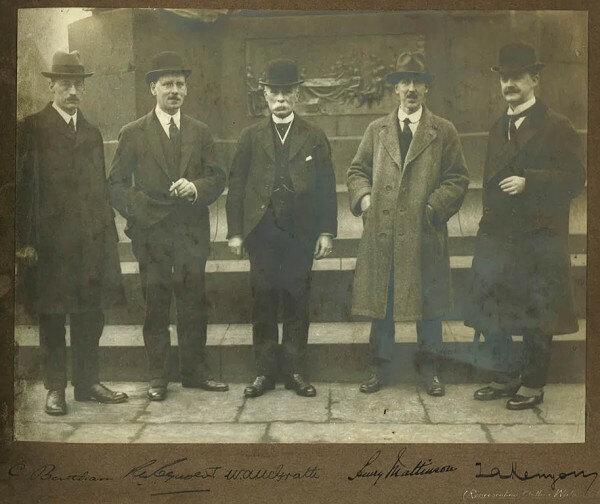 At the Savoy Hotel in London on 3 November 1919 a group of senior transport professionals met determined to change the world of logistics and transport. In the First World War they had seen the failures of moving goods and vehicles. Now in peacetime they wanted to create a professional body that would make a difference and set new standards. The Institute of Transport was born. The group’s initial aims were to improve transport efficiency, enable transport integration and encourage talent development in the transport industry. Aims that we still strive to achieve today. In 1926 we were granted a Royal Charter by King George V with himself as the Patron and the Prince of Wales as the Honorary President. The Institute grew in importance and influence across the world. We established territorial organisations in ten countries and in 1971 were granted the name of the Chartered Institute of Transport by Queen Elizabeth II. In 2001 we became the Chartered Institute of Logistics and Transport as the two leading professional bodies joined together. With the wider representation now we are involved in every logistics and transport sector. We are focused on the original 1919 Institute aims of developing the science and art of transport and logistics. We do this through talent development and professional education throughout the world. As a family of professionals we come together in our annual International Convention in a different global location each year. There we reflect on our aims and plan our future. The vision of those first Savoy Hotel pioneers lives and breathes and continues to shape our world today.